In order for this to work correctly there is a small hack that must be put in place. For every Virtual Machine created under VMware Workstation there is a (.vmx) file which contains configuration settings for the guest machine. This files is stored along with the virtual hard disk files by default. Save the changes to the (.vmx) file. You must also edit the Processors setting on the VM, set the Preferred Mode to Automatic and ensure Virtualize Intel VT-x/EPT or AMD-V/RVI and Virtualize CPU performance counters are ticked. 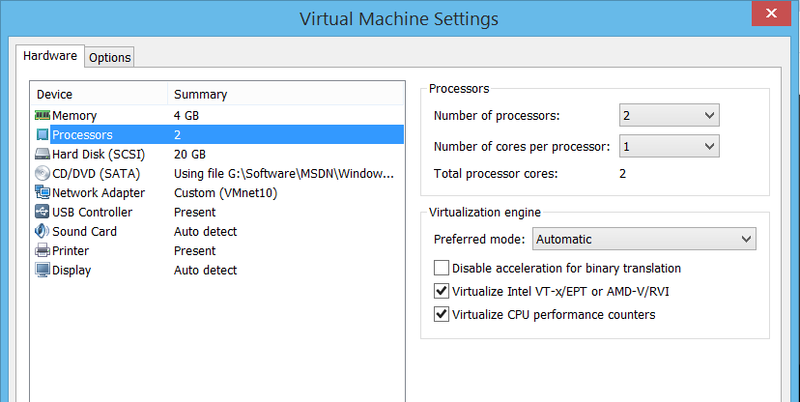 Now start the machine and you will now be able to run "nested" Virtual Machines inside Hyper-V. 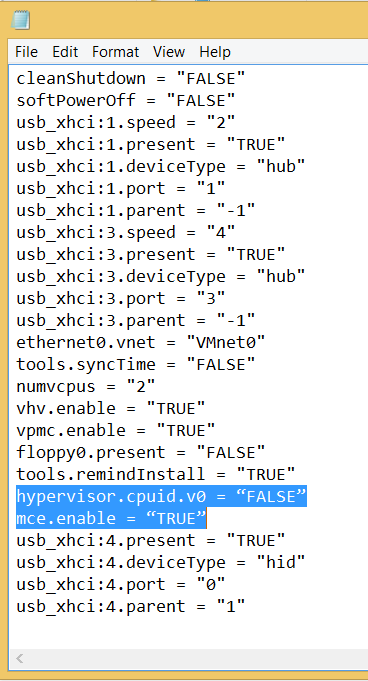 The hypervisor.cpuid.v0 = "FALSE" line tricks the guest operating system into thinking it’s not running as a virtual instance.